Ears are two of the most amazing structures of the human body. Ears serve both a biological and a social function: they give you the ability to communicate, to enjoy music, and to navigate the world. 1. Your ears contain the three smallest bones in the human body: the malleus, incus, and stapes. Together, these bones work to transmit sound vibrations to the brain. Breaking one of these bones can result in conductive hearing loss – a common type of hearing loss. 2. Ears help the body maintain equilibrium. Internal measurements are made by various organs and integrated to tell your brain where your body is in relation to the ground. Ear facts about the vestibular system include the fact that it integrates information and allows your brain to make adjustments in order for you to maintain balance. 3. The outside of the ear is called the pinna. Some ear facts about the pinna is that is acts as a funnel, collecting and amplifying sound for the inner ear. 4. Your ability to hear high frequencies deteriorates as you get older. Specifically, the hair cells closest to your outer ear begin to break down which make it harder and harder to hear high frequency sounds, like the sound of ocean waves. 5. Sound travels at roughly 770 miles per hour. This is significantly slower than the speed of light, which is why you see lightning a lot sooner than you hear thunder. Why is it slower? Some interesting hearing facts include the fact that sound waves are air vibrations and their ability to travel to your ear depends on the their ability to move through the air. 6. Speakers at a concert can expose you to approximately 120dB of sound, roughly the same loudness of a jet plane taking off. Another one of the interesting hearing facts is that seven and-a-half minutes of exposure to this intensity can lead to permanent hearing loss. 7. The hardest bone in the human body is the temporal bone. The inner ear is shaped by the temporal bone and the shape of the bone helps process sounds in the ear. 8. The purpose of earwax is to catch dirt and debris and prevent it from entering your inner ear. 9. Approximately thirty-seven percent of children with only minimal hearing loss fail at least one grade. It and can have wide ranging effects well into someone’s professional life. Hearing loss in adults often goes unnoticed for a decade before it is treated – in children, this period is even longer. The solution? Make sure to have your child’s hearing checked regularly. The ear is a complex structure and the feats it is able to accomplish are extraordinary. 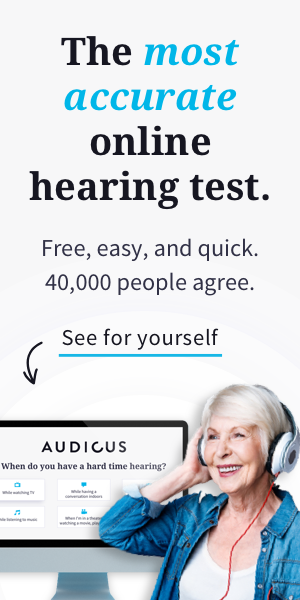 To stay on top of the latest facts about hearing and hearing technology or learn more about interesting hearing facts and ear facts, visit www.audicus.com. Everything I have read so far insinuates that the MES occurs when the individual is up and actively engaged in some activity. My music only plays when I lie down and start falling asleep. Also, when I start waking up, but when I jump out of bed, it stops. Also, the music is not beautiful, it is hideous and , sometimes, even scary. It reminds me of the music that they play when talk show hosts enter the stage, I.e. Jimmy Kimmel band, Dave Letterman and mostly the other Jimmy, whose last name I cannot think of right now. Wild, loud music! HELP!